The spring beer fair? The wine festival in autumn? Partying the nights away at the Oktoberfest? It works though - with our smart knit jackets for ladies. 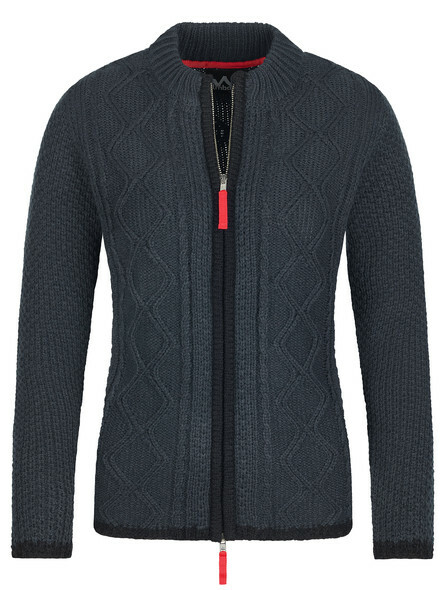 Our comfortable, breathable knitwear with real wool warms even the most freezing women. Which lady wants to leave her costume in the closet on milder days or cooler nights? Whether timeless in grey or black, beautifully feminine in beige or red - such a traditional cardigan sweater looks wonderful with dirndl, lederhosen or even with an everyday outfit and brings along a rustic flair. But not only the colour is decisive for the style of a women´s traditional cardigan sweater. Our models with zipper and beautifully knitted pattern look a little bit more sporty and are a perfect companion for modern looks. Traditional ladies jackets with stand-up collars, on the other hand, create a particularly smart charm that has anything but a conservative effect. A nice round neckline is just as pretty and a bit more fashionable. 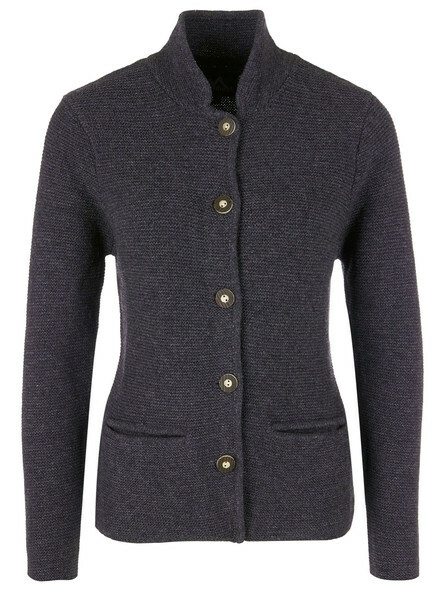 Traditional Bavarian cardigan are made of robust yet soft knitwear that keeps you warm and doesn't scratch. 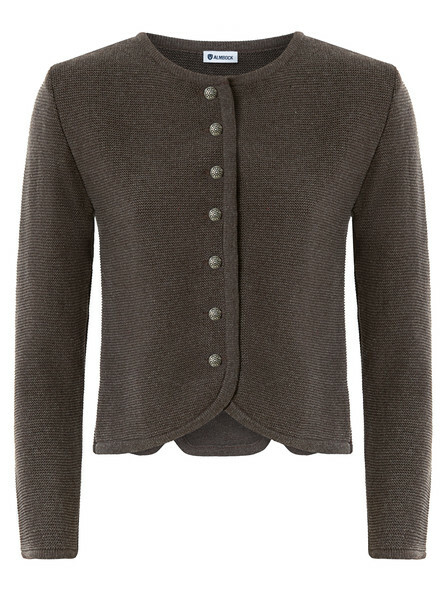 The high quality of the cardigans can already be seen here. Good costume fashion is cozy and authentic. It stands for the tried and tested, which can sometimes be reinvented. 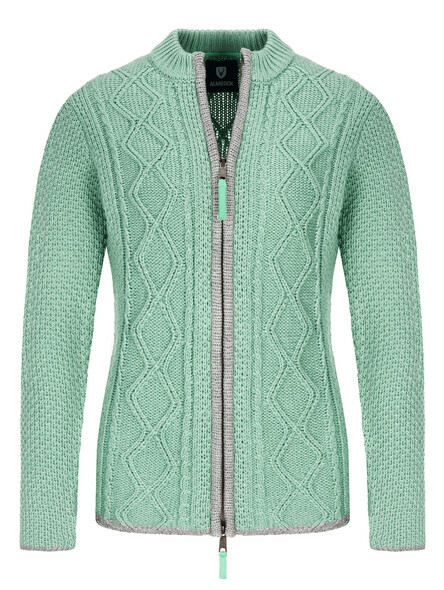 To keep up this charm, you need a real traditional Bavarian cardigan on top. 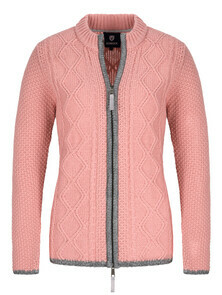 These favourite knitted pieces harmoniously complete every traditional costume look. 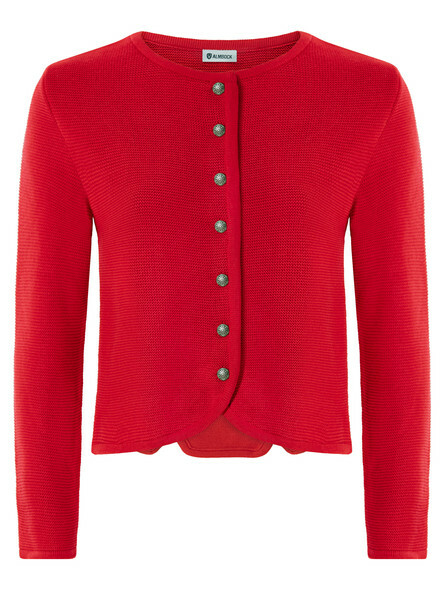 You are looking for a knitted cardigan for your dirndl? So that the dirndl still drops beautifully? 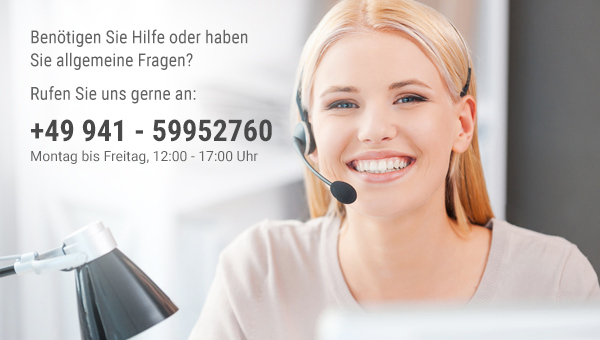 In this case you should choose a short dirndl cardigan. Not the sleeves should be short here, but the total length. If the cardigan ends just above the hips, the dress can swing even better and is not overlaid too much. 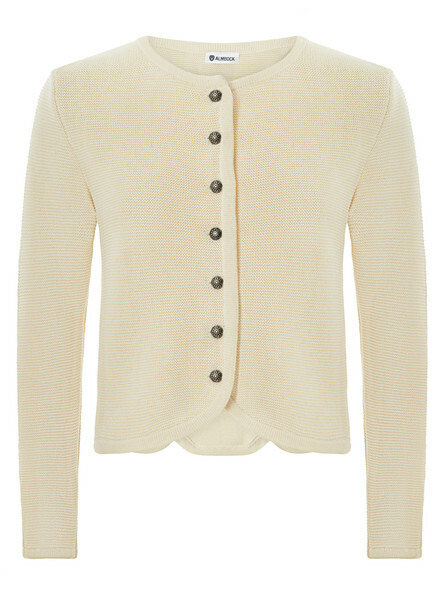 Would you like to snuggle up in a cozy traditional costume cardigan? 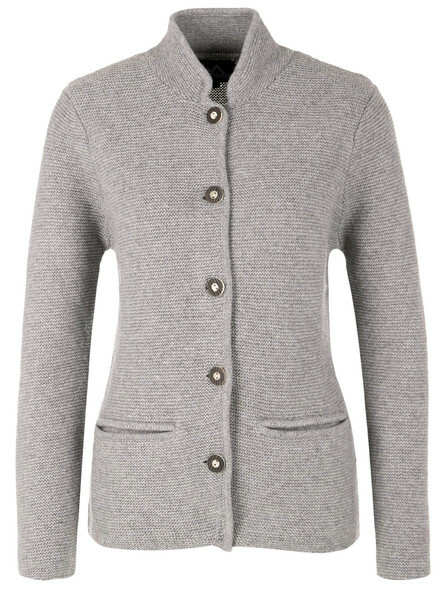 In our online shop you'll find an exquisite selection of high-quality Bavarian knit cardigans, smart and cheap. With rustic details or a modern touch - find your favourite knit sweater!